Activities & -ER Verbs October 17, 2013. When I was teaching in France, most of my students had all of their classes with the same group of people. How. 2 When I was teaching in France, most of my students had all of their classes with the same group of people. How would this be helpful ? What are some of the disadvantages ? 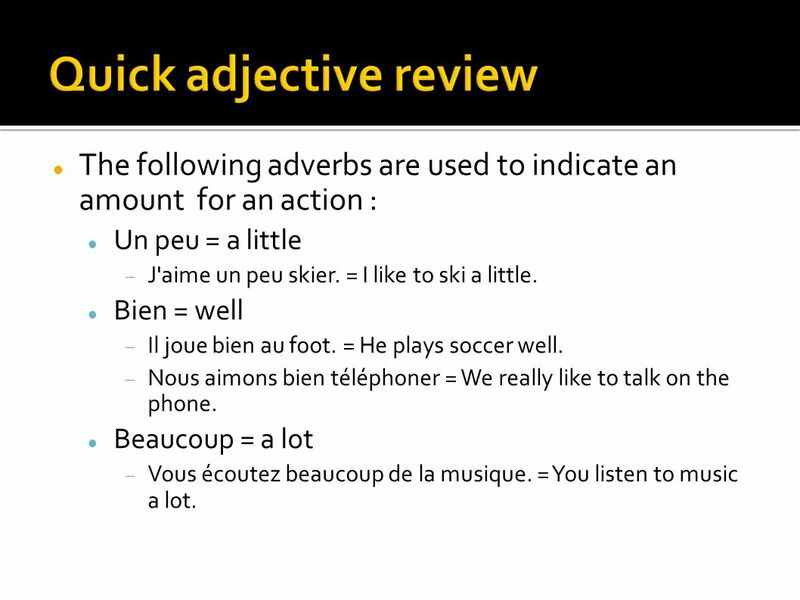 4 The following adverbs are used to indicate an amount for an action : Un peu = a little J'aime un peu skier. = I like to ski a little. Bien = well Il joue bien au foot. = He plays soccer well. Nous aimons bien téléphoner = We really like to talk on the phone. Beaucoup = a lot Vous écoutez beaucoup de la musique. = You listen to music a lot. 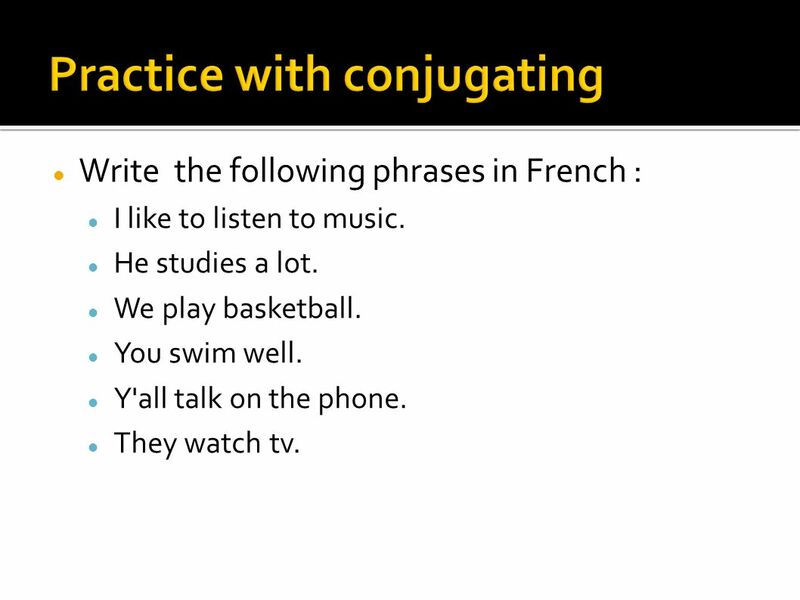 5 Write the following phrases in French : I like to listen to music. He studies a lot. We play basketball. You swim well. Y'all talk on the phone. They watch tv. 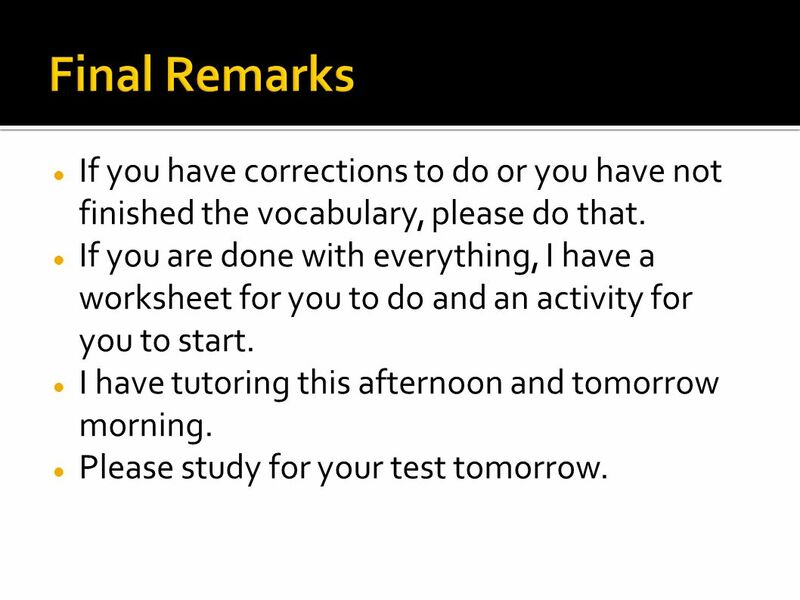 6 If you have corrections to do or you have not finished the vocabulary, please do that. If you are done with everything, I have a worksheet for you to do and an activity for you to start. I have tutoring this afternoon and tomorrow morning. Please study for your test tomorrow. 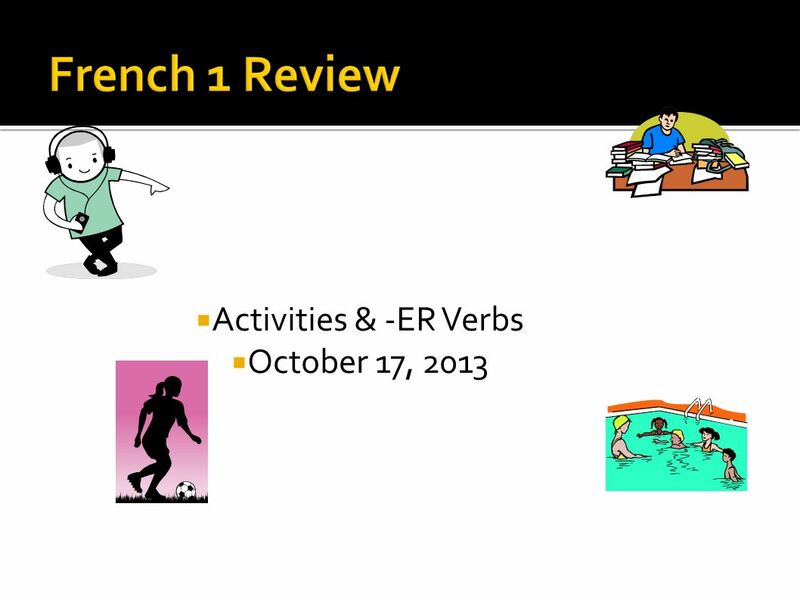 Download ppt "Activities & -ER Verbs October 17, 2013. When I was teaching in France, most of my students had all of their classes with the same group of people. How." Unité 10-B. someone quelquun nobody ne...personne.